Let’s be honest – for the majority of us, a pair of straightening irons has become one of life’s essentials. Just as a kitchen needs a kettle, a lounge area needs a TV set, a bedroom/dressing room needs a good pair of straighteners. Whether our hair is naturally straight, curly, fine or coarse, it’s just one of those necessities. And for me, a straightener very definitely is an essential. Without it, my hair is thick, color-damaged, flicks out at one side and in at the other, and just makes me feel rubbish. I am very literally lost without a good pair of straighteners! Furthermore, I am passionate about the ease of styling a good pair of straighteners can bring. I’ve spent YEARS trying to find something that styles my hair well and I believe that straighteners are as good as it will ever get. In fact, I’m so thankful to the straightening iron, that I’ve started this site. Everyone deserves a great pair of straightening irons but they need to the right pair for your needs. I may have a preferred brand of straightener that I tend to think will ‘do the job’, but deep down I know that actually they don’t really do a perfect job. I crave salon look hair as if done by a professional at the top of their game – I really do! Great hair boosts mood and confidence and I want a part of that feel good action. And with that in mind, I am on a mission – a hair straightener mission. I want to test, prod, straighten, curl and flick my way through what is currently out there on the market in order to find the straighteners that truly deliver. How will the reviews help my purchasing decision? I am painfully honest – just ask my friends and family! I am not here to take a back hander off a brand, but I am simply an obsessive hair straightener nerd. Of course it’s just my humble opinion, but by looking at finish of my hair, straightening and curling ability, cost, features, plate materials, and just anything else that jumps out as important, I am hoping that your hair straightener buying decision will be blessed with a little more clarity. At the end of each painfully honest review there is a quick reminder of the plusses and minuses so you can make a valued judgement at a glance – genius! Here’s a guide to guide you through what to what you can expect to read within these pages – happy guiding! These are all deeply important straightening questions to which you need straight answers. We have moved well and truly beyond the days of using straightening irons just for straightening, so it’s time to see if the straighteners will curl and flick as well as a product specifically designed for that purpose. Current hair trends are very much about the return of big hair that screams great looking condition, and we will show you just how to achieve the look with your straightening irons. Does buying cheap mean inferior results? Or do premium brands ensure premium results? With such a wide variation in cost, and with a potentially large outlay, are certain straighteners worth it? It is commonly thought that the more expensive the straightening iron, the better the result will be, and we examine this in our guide of performance versus cost. We may suspect it, but does size matter? And is all that glitters really gold? These may seem like minor issues to consider in a straightening iron but they are not. The right size of iron can save time and make styling dream-like, as well as being very useful for those who have dexterity issues. Our guide to a straightener’s usability may just be the best piece of research you have ever undertaken. And a nice looking pair of straighteners can add to your bedroom’s décor the same as a bottle of designer perfume. Honestly. We examine which straightener’s are fit to grace the bedroom of anyone who owns them, and which brands and models may need to be packed away quick-sharpish. So bearing in mind that we all have very individual styling needs, hair types, likes and dislikes and a load more considerations, just what are currently coming out the must-have straightening irons? The ‘must have’ aspirational straightening iron in the UK, the GHD continues to not put a foot wrong in terms of finish, versatility, cost, look and more. It is like your hair styling BFF. The Karmin G3 Salon Professional has ‘professional’ in the title and when a brand makes such a strong claim, they must have confidence that their product is up to the job in hand. And it does! It’s the HSI Professional 1 Tourmaline. It looks the business, and pretty much is the business considering the cost. Whilst it may not match the GHD, it definitely tries its best to come close. And being close to best is not such a bad position to be in. Now we are living in an era where the straightener is a multi-functional styling tool, the CHI Air Expert Tourmaline Ceramic Flat Iron proved itself to be more than up to all the jobs it states it’s good at, making at a clear winner in this category. Is your hair a straightening nightmare? Fear not with the Ionic Onepass Straightening Iron. With innovative ceramic straightening plates, they seem to make light work of the heaviest hair. Trying truly is believing. Naturally African hair is known to be tricky to straighten, so well done to the Rusk RSK732 Titanium Infused Flat Iron for turning on the heat when hair needs it. Quick heat-up that retains the level once reached mans the Rusk makes quick work of hard to straighten hair. Titanium is proving to be a real bonus to the hair straightening market with the Izunami Flat Iron Ktx450 bringing straightening results that can’t fail to impress. With enhanced condition and shine too, what is there not to fall in love with? The wet-to-dry straightener is a hard nut to crack but the Babyliss Pro BABNT5073T Nano Titanium Wet-to-Dry. With fantastic results on straightening and curling, what’s not to like? 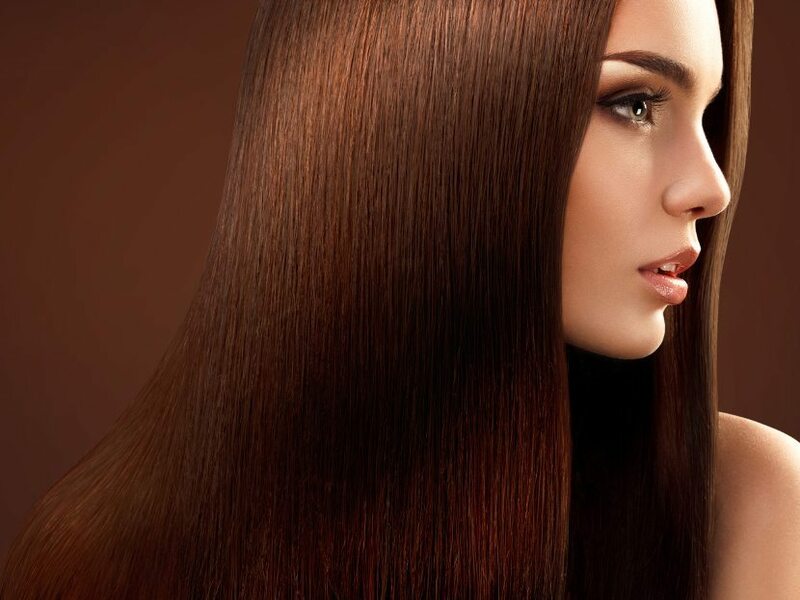 Ionic technology is perfect for hair that has been treated as with a Brazilian Blowout. The Onei MK-1 Halo Flat Iron managed to deliver great results on any hair regardless of a treatment with condition enhanced too. This is a huge achievement for a straightening iron that needs a large amount of heat to make a difference. Hair that is long and thick can present a real challenge in terms of straightening but the Turboion Rbb Croc Classic Straightener has little fear and more than meets the challenge head on. Saving time and effort, the Croc was a snappy little winner. The Solia Tourmaline is a tourmaline expert and proud to have a reputation for producing excellent looking hair. Enhanced condition means hair isn’t just straight, but shiny straight. Remember that the search for the ultimate straightening iron can be an easy one if you base it on what you need from a styling gadget. We can provide you with fantastic insight into factors such as plate finish, look of hair after straightening or curling, condition and shine of hair, usability of the straightening irons, versatility and cost, but nobody knows your crowning glory like you do. Choose your straightening irons carefully and that professional style IS within your grasp. I’m not saying that I’m a hair straightener ‘expert’, but perhaps by giving you a real-life, real-user, really honest review, that is better than someone writing as they paid too. I really want you to find your perfect pair of straightening irons first time off, because when you get it right, it’s a hair-changing and a life-changing experience. © Copyright 2019 hair-straighteners.org All rights reserved.